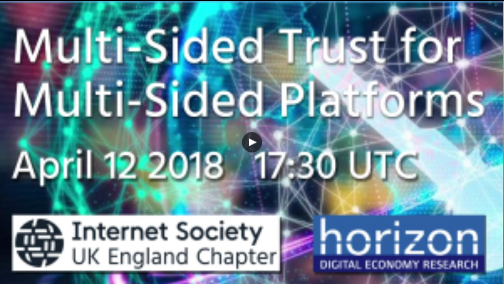 In the spirit of recent events surrounding the revelations about Cambridge Analytica and the breaches of trust regarding Facebook and personal data, ISOC UK and the Horizon Digital Economy Research institute held a panel discussion on “Multi Sided Trust for Multi Sided Platforms“. The panel brought together representatives from different sectors to discuss the topic of trust on the Internet, focusing on consumer to business trust; how users trust online services that are offered to them. Such services include, but are not limited to, online shopping, social media, online banking and search engines. 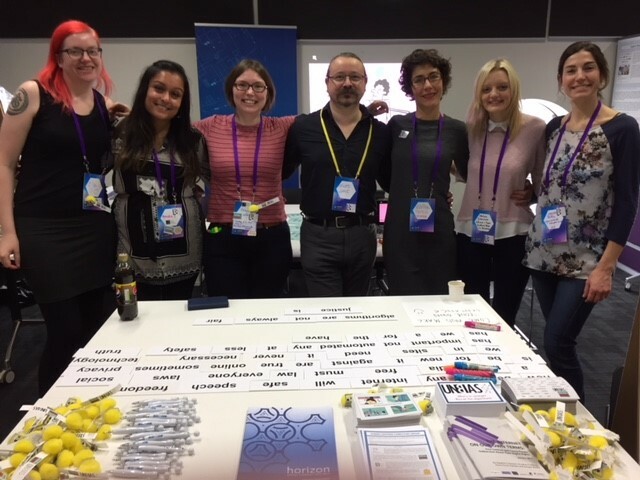 UnBias at SCIENCE IN THE PARK! 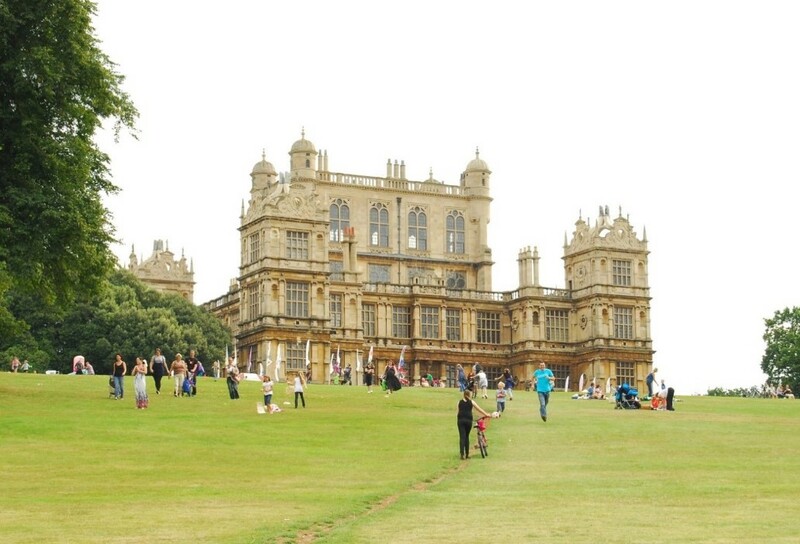 We were very pleased to take part in Science in the Park 2018 last Saturday 10th March, which was held at the beautiful Wollaton Hall in Nottingham and organised by the British Science Association. 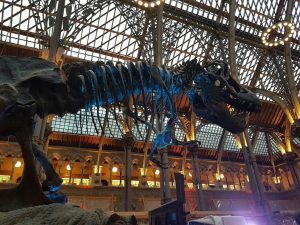 Hundreds of people attended this free event that offered a very diverse and fun programme with lots of hands-on activities and demonstrations on different topics: life sciences, astronomy, chemistry, physics, psychology, natural history, engineering, etc. 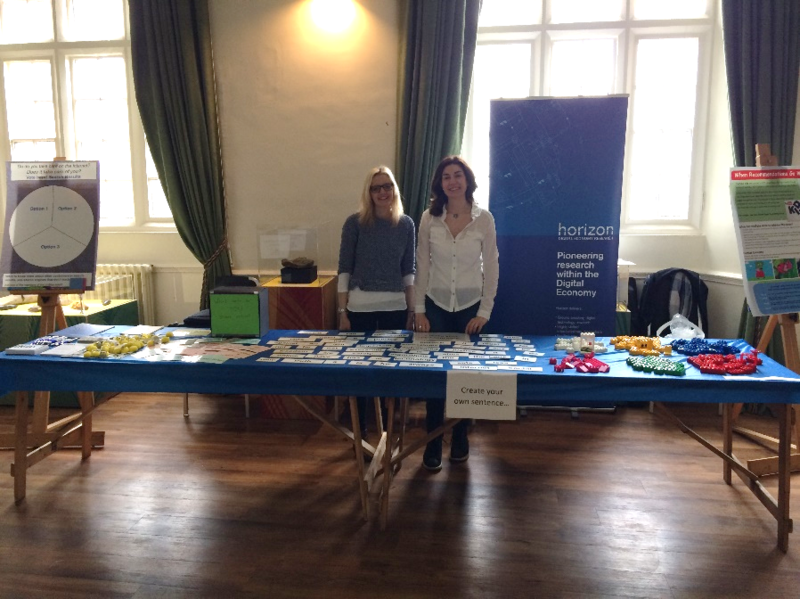 UnBias takes part in European Researchers’ Night! 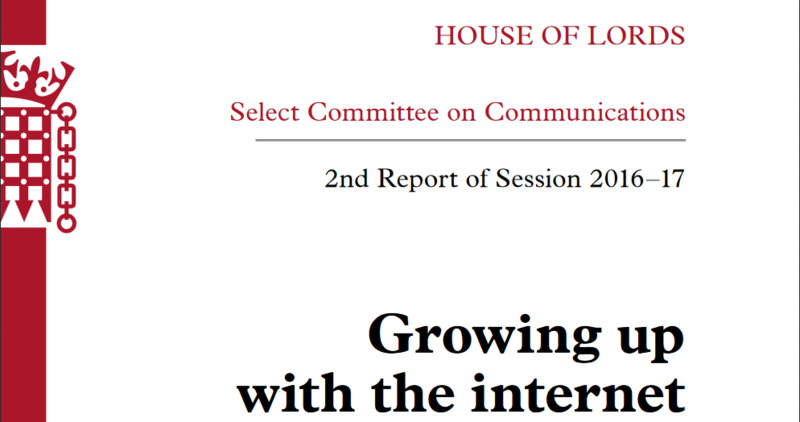 How do you take care on the Internet? What are the dangers of online fake news and filter bubbles? What are appropriate punishments for hate speech and trolling? These are questions we asked members of the public during the Curiosity Carnival at the University of Oxford on September 30th. The Curiosity Carnival formed part of European Researchers’ Night, celebrated in cities across Europe. 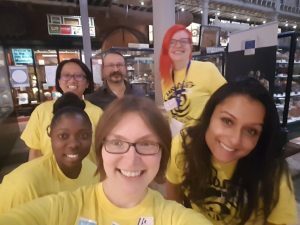 Oxford ran a city wide programme of activities across its universities, libraries, gardens and woods to give members of the public a chance to find out about real research projects and meet the people who conduct them.